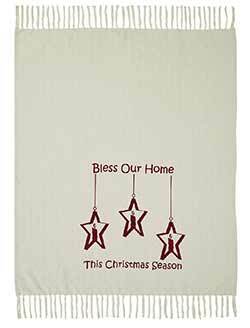 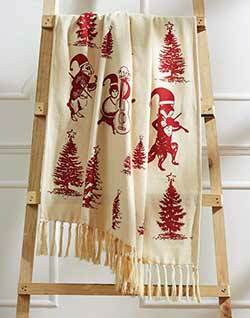 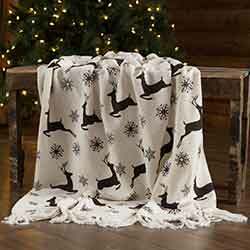 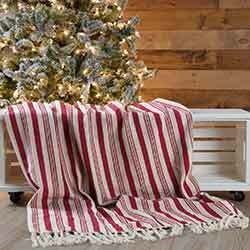 Christmas Throws are a quick and easy way to add holiday festivity to any room! 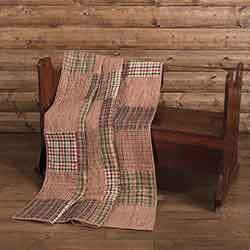 Available in many styles and themes to fit any decor, we have country, primitive, lodge, farmhouse looks and more! 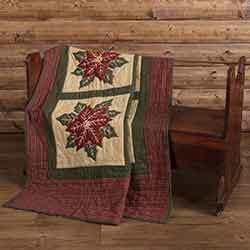 Red poinsettias are set in four khaki blocks, peek out from the inside of green leaves, and then are finished with a plaid and green binding on the border. 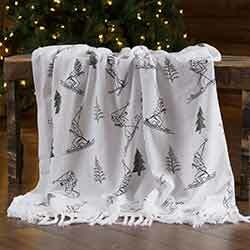 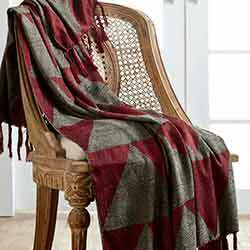 The 60x50 Phillip Woven Throw is perfect as a decoration or for cozy winter days. 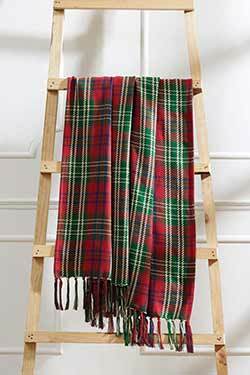 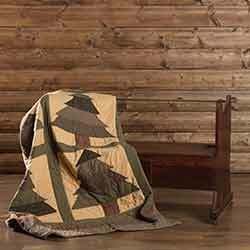 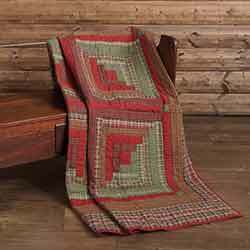 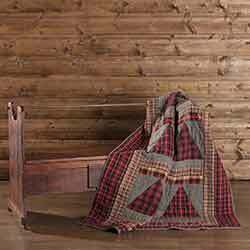 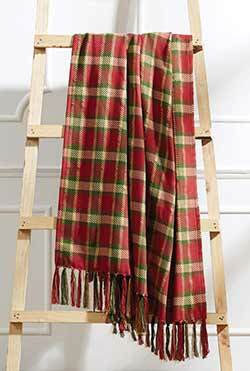 The throw features a large scale barn red-base plaid with accents of cobalt, camel, army green, and creme. 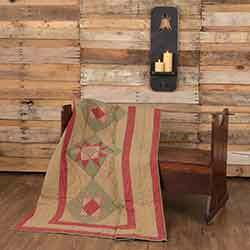 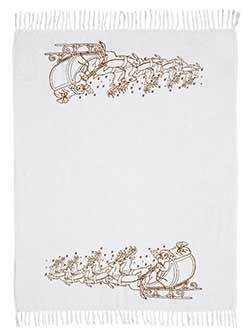 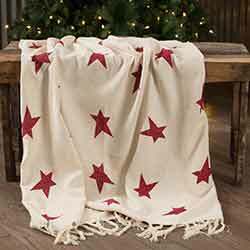 Our Primitive Star Woven Throw 60x50 showcases beautiful, repeating, stenciled deep red primitive stars on a tan colored background. 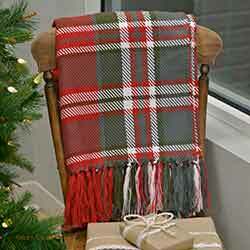 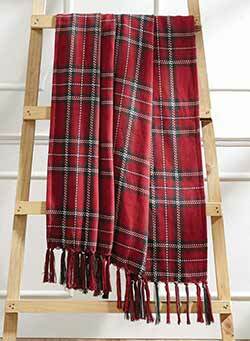 Cozy up with the gorgeous Scarlett Creme Woven Acrylic Throw 60x50 this year. 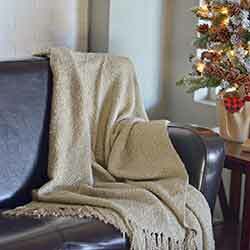 The throw is a soft, loose knit acrylic yarn in champagne and trimmed with 5 tassels on each end. 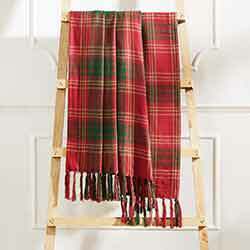 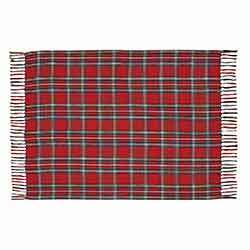 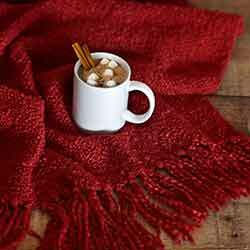 Cozy up with the striking Scarlett Red Woven Acrylic Throw 60x50 this year. 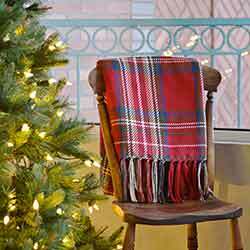 The throw is a soft, loose knit acrylic yarn in Christmas red and trimmed with 5 tassels on each end. 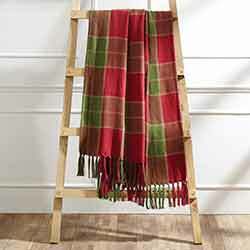 Cozy up with the Whitton Woven Throw. 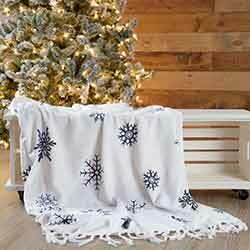 Discover the beauty of winter and spend your cold nights and frosty mornings cuddling up with our Winter Morning Woven Throw 60x50.